Another politician willing to sell out another human being of peace. The politicians name may change but their ideas of no PEACE for the people continue! He probably was educated in America, if not him the non humans who advise him where educated in USA. No PEACE in our time or are grandchildren. PRAY FOR PEACE, ACT FOR PEACE!!! A classical mess, but let’s keep doing our damnedest for the forces of justice for Julian Assange – a beacon of free journalism that is the only hope we everyday folks have for getting at the truth through a fog of propaganda, quite a lot of it produced by our own “special interests” within the hallowed halls of secrecy. 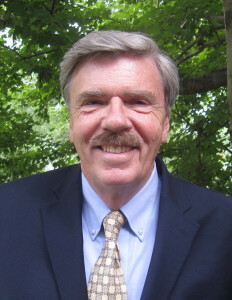 Thanks for the informative update on the hard-times and troubles of Julian Assange, who, like Robert Parry before him, has demonstrated dedication to courageous and principled journalism. This is the most recent from Caitlin Johnstone, an independent journalist in Australia. In their increasingly inept attempts to get their hands on legendary truth/peace warrior Julian Assange and silence him permanently, – immoral, corrupt degenerates Donald Trump, Theresa May, Lenin Moreno, Morrison of Australia and their bankster puppet-masters behind the scenes seem awfully desperate. The “Great World Leaders” want a propaganda state always. They want total control of he message and inconvenient truth is to be silenced. This is the reason Assange is persecuted just like Trotsky was vilified by Stalin. Stalin was so consumed by the fact that Trotsky was still alive that he went to the ends of the World to have him assassinated. Stalin succeeded in the end and now the United States government is on the verge of a similar campaign to eliminate a threat in Julian Assange just like the paranoid Stalin who executed many of his own party members on the suspicion that they were capable of reaching an audience and delivering a message that was contrary to the state propaganda. We really need to juxtapose the similarities of the Russian obsession with Trotsky and the obsession of the United States with Julian Assange. Both governments went to the ends of the World to destroy a dissenter making their target of annihilation a permanent feature of government priorities lasting many years until the job was accomplished. The conclusion is we are living in a propaganda state like Stalinist Russia where the enemies of the state are to be hunted down no matter where they seek protection until they are silenced for good. Such a jealous and paranoid government possessive of its powers to such an extent that it will go to the end of the World to seek vengeance on a single person which it hates is the back story behind Nineteen Eighty Four a novel by George Orwell. We are living in that dystopian future today. A necessary piece of reportage concerning Julian Assange and his status quo in the Ecuadorian embassy in London. 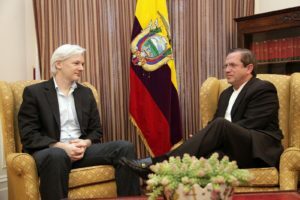 Clearly, Ecuador’s current (apparently authentically corrupt) president in speaking with Paul Manafort, an equally corrupt individual, focuses attention on Ecuador’s current government to deliver Assange to the U.S. Mr. Trump cozying up to Britain. If there was an international call to surround the embassy, or surround Assange as he leaves it, I’d go. Remember when we had numbers? It’s classic. Dig up dirt on Moreno and threaten to release it under the “Wikileaks did it” lie while offering Moreno an easy way out. Just agree that Wikileaks betrayed their end of the bargain, give up Assange and all will be forgiven. The NY Post will never publish another word. Problem is if Moreno does that then Wikileaks goes public with all the real dirt on Moreno and he is in trouble anyway. In the end, Moreno will probably rather deal with Wikileaks rather than the USA turning on him like Maduro. My thinking is Moreno is going to go for the US deal. Moreno has been under considerable pressure from good old Team USA. You know, the world’s best financed gang of terrorists? Since he appears to be a corrupt individual, one wouldn’t expect a high-principled defense of Assange’s refugee status, something the last president pretty well stuck to. “Russia has stabbed us in the back and each day that Mr. Snowden is allowed to roam free is another twist of the knife,” Schumer said. The poll, which surveyed 2,014 respondents June 28-July 8, found 55 percent of Americans think of Snowden as a whistle-blower, and just 34 percent say he is a traitor. The public’s choice of the “fairly benign” term whistle-blower stands in stark contrast to the bipartisan accusations of treason against Snowden, [polling director at Quinnipiac] said. And later some people wrack their brain why is it hard for a senator from the great state of NY to be elected as a president. How about following public opinion? This false accusation by a corrupt president of Ecuador will help Assange. He should now volunteer to give himself up to the British because if he goes to trial in the US he will find he has great support and would be found innocent and could bring light to the false Russiagate/wikileaks fake news. Julian, if you are in Prison now, What do you have to lose but your chains? Never! Assange would spend decades in USA prison. His popular support is meaningless for the verdict. 13 million marched against the Iraq war in one day world wide, the 900,000 died. Assange would never be sent to a US Prison? You can’t torture America’s enemies in the US? No, Assange would be “rendered “ to one of the many American Black sites, scattered around the World, quicker than you can say Guantanamo Bay, so he can be water boarded & tortured for the unforgivable crime of exposing the criminal actions of the evil, despotic & morally depraved, Empire of Chaos, called America! He’s already in a prison of his own making. Let him be accountable for once in his life and stand and face his accusers. Surely he can find support from his fans? How long can a “man” run and hide?? Julian created his mess and does nothing to free himself from it. I have zero sympathy for this thieving data dumper. It would be an impossibility for Assange to EVER have a fair trial in the United States. He would be extradited straight to a jurisdiction just outside McLean, Virginia where after being placed in solitary for years and tortured with constant bright lights and every five minute “wellness checks” he might get a trial with a biased CIA community “Jury”. God help Assange if he ever has to come to the United States. Yes, and given the NDAA, he likely wouldn´t ever go to trial, held in solitary “until the end of conflict” which of course is state generated to never end. You must be living in Oz! Every American Stater knows how unfair our courts are and how bitterly punitive are our prisons. Incredibly brave Chelsea Manning, who wikileaked the tape of our soldiers shooting to death (from helicopters) obvious journalists in Baghdad and the family who attempted to help them (along with masses of documents of war criminality) is being re-punished after Obama finally relented after years and granted her a presidential pardon. So now, she refused to answer a new Grand Jury’s repeat questions in their attempt to get dirt on Assange, so they put her BACK in prison, keeping her solitary and like Assange, deprived of sunlight. The rest of the world calls that torture. Trouble is it won’t be an open trial. You are a babe in the woods if you truly believe that is what would happen. He is under a secret Grand Jury indictment in the district court of Eastern Virginia. That judge is a notorious protector of our so-called “Intelligence Community”. Do a bit of research on her case history to see what Assange would be up against. 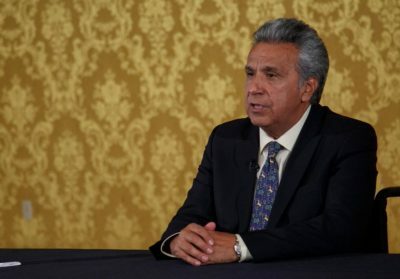 Can the UN human right council exert pressure to Moreno to designate an independent investigative council to investigate whether Assange has violated his asylum terms by leaking the president’s scandal? Each and every electronic paper trials can be trailed to its origin, messages and calls can be collected with regard to this president’s scandal, so the special council will let the whole world know how many parties have participated in this leaks since when, and who has done what on behalf of whom. Moreno is a low life willing to do whatever the US wants. He is getting called out on corruption and is trying to scapegoat Assange. 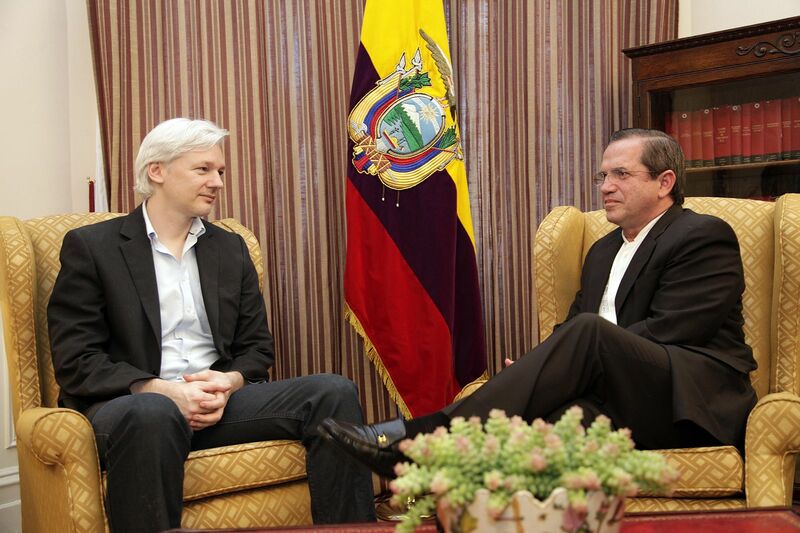 On top of that, there are allegations that Moreno would expel Assange if the US would give Ecuador debt relief. Add to this the fact that Manning has been locked up because she will not testify before the grand jury that is attempting to railroad Julian. IMO grand juries, which are secret and do not allow defense attorneys to participate, corrupt our legal process. It is just a tool for a witch hunt. Only the US and Liberia permit a grand jury to assemble and conspire within their legal systems. I want to thank Elizabeth Vos for this article. 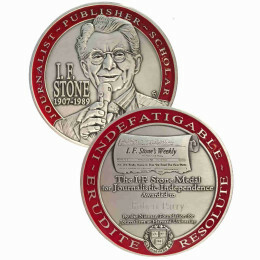 Protect journalist, publishers, and whistle blowers. Free Julian! Former President Correa can be forgiven for trusting this rascal. However, I think it highly unlikely that the rascal had no contacts with authorities in the USA prior to the election. If there has ever been more circumstantial evidence of a “Manchurian Candidate “ in history, I am unaware of that instance. 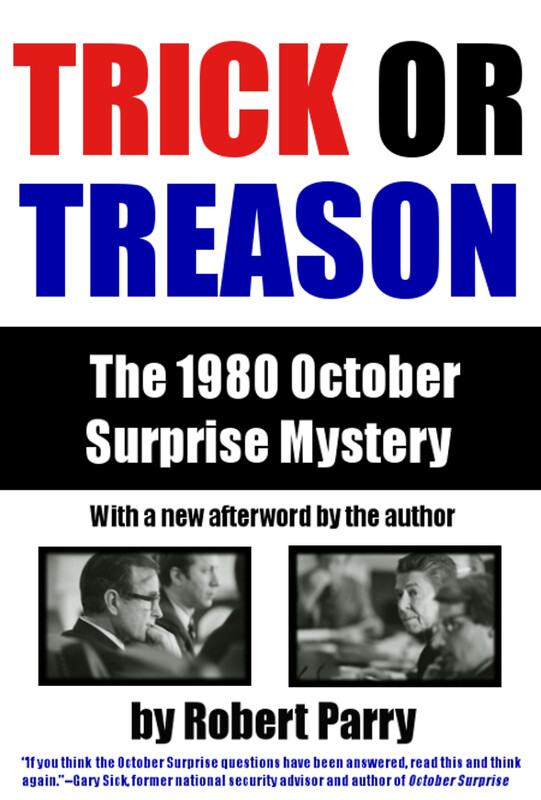 The immediate turning on Assange; the attempt to intervene in the Chevron litigation to the detriment of his own people; the reconnection to the IMF; the made-up visits of Manafort to Assange; the circumstances that gave rise to the self-deportation of the former President and mentor of Moreno- the possibility that all of this conduct, which could not have been better designed to please the US deep state, just sort of happened, is virtually nil. I look forward to a time when Julian Assange will be free, and when Wikileaks will be able to operate freely. Perhaps the documents that show how this fraudulent candidate became President will be leaked by some very brave person somewhere to Wikileaks, and we’ll get the whole story. We sure won’t get it anywhere else. Just a question: is the evidence on “Manchurianity” of Lenin Moreno circumstantial, or rather direct — total change of colors before and after elections. The question who bribed him, local elite, Americans or both may open to speculation, but it from the short news stories it seems that it is beyond dispute that he is a tool. You are so spot on with this post! I agree with every word! Moreno must surely have been in contact with his lord and masters long before he assumed the presidency! As soon as I read of the scandal involving Moreno, heard Correa and saw the evidence it was obvious that Assange would suffer. Do not be surprised if the extreme right is behind this. They have used Moreno as a bridge to get the IMF, CIA base back and to assure the US that Ecuador can be a base. They will dump him as well and have Jaime Nebot of the Christian Socialist party stand as a candidate for an early election. Th Christian Socialist party is really Allianza Pais as well, and with Assange on the line the right can kill two birds with one stone: i.e. get rid of Moreno who has served his purpose, dump Assange, have early elections where Correa cannot run and hurry the time line so organizing is cut short. What can we expect from a criminal like Lenin Moreno -lies and brutality. What a scum. Just the kind of “leader’ the US loves.